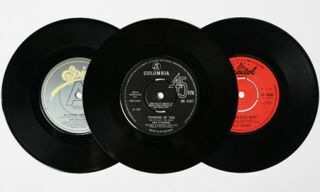 BBC 6 Music to play only vinyl on New Year's Day | What Hi-Fi? Here's a good bit of news for turntable enthusiasts: BBC Radio 6 Music has announced it will be playing only vinyl on New Year's Day. According to the Beeb website, presenters Jarvis Cocker and Guy Garvey will be among those dusting off their turntables and Don Letts will be bringing his own seven-inch singles. The "All Vinyl" day rounds off a month-long celebration of vinyl. Station editor Paul Rodgers says: "In a world dominated by digital music, vinyl is a format still close to the hearts of many music lovers and increased sales demonstrate its enduring appeal." A spokeswoman for the station adds: "Listeners can expect rare gems, insights and a few crackles and pops when digital goes analogue for one day only." Dance DJ and producer Andrew Weatherall and singer Cerys Matthews will also be joining the vinylfest in their shows.